Aqueous C. papaya roots preparations might have therapeutic potential as a supplement that can be applied in arsenic poisoning. Aqueous extract ofLinn. 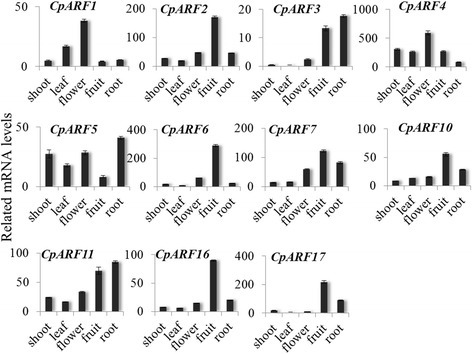 roots potentially attenuates arsenic induced biochemical and genotoxic effects in Wistar rats. In Africa, the fruit, leaf, seed and roots ofLinn. 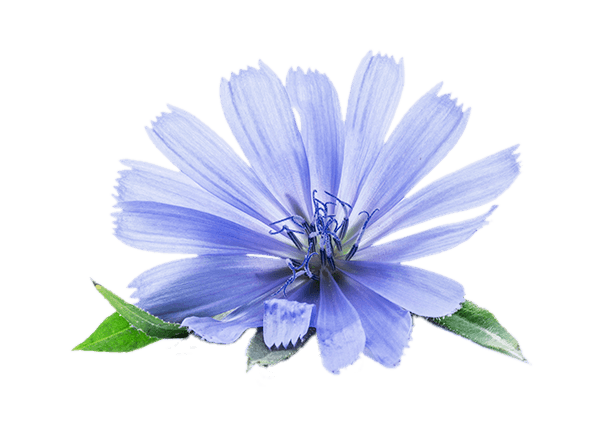 are generally used to treat a variety of diseases such as malaria, cancer, and cardiovascular diseases. In this study, we evaluated the protective potentials of aqueous extract ofroots on arsenic-induced biochemical and genotoxic effects in Wistar rats. Rats were induced intraperitoneal with sodium arsenate (dissolved in distilled water at 3 mg/kg body weight) for 21 days and the animals were administered simultaneously with 200 mg/kg body weight vitamin C, 100 and 150 mg/kg body weight of theLinn. root aqueous extract once daily for three weeks. Results obtained reveals that activities of plasma 8-OHdG, serum lipids concentration, atherogenic index (AI), coronary artery index (CRI), aspartate transaminase, alanine transaminase, alkaline phosphatase, total bilirubin levels were elevated significantly ( < 0.05) and catalase, glutathione peroxidase, superoxide dismutase, plasma hematological profile were progressively reduced ( < 0.05) in arsenic-alone exposed rats. Significant increase in the quantity of chromosomal aberrations (CA), micronuclei (MN) frequency, oxidative damages in the bone marrow cells from arsenic alone rats was observed. 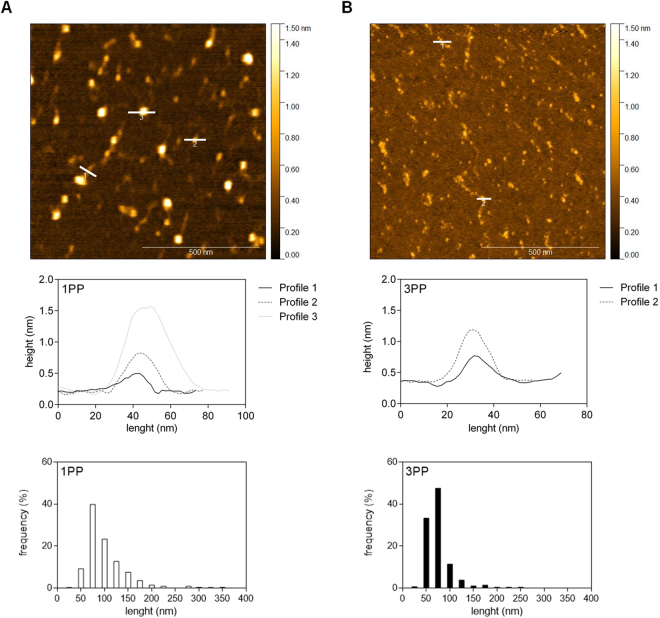 Though, mitotic index scores in these cells were progressively reduced (p < 0.05). In animals administered with aqueous extract ofroots and vitamin C, the altered parameters were significantly recovered towards the levels observed in normal control rats. These results suggest that aqueousroots preparations might have therapeutic potential as a supplement that can be applied in arsenic poisoning. Modulatory Effect of Fermented Papaya Extracts on Mammary Gland Hyperplasia Induced by Estrogen and Progestin in Female Rats. Fermented papaya extracts (FPEs) are obtained by fermentation of papaya by Aspergillus oryzae and yeasts. 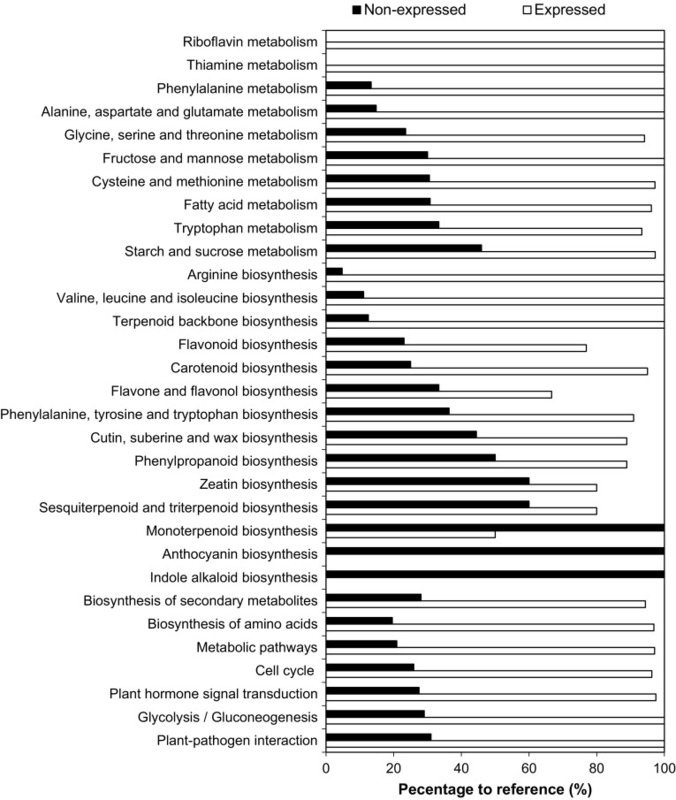 In this study, we investigated the protective effects of FPEs on mammary gland hyperplasia induced by estrogen and progestogen. Rats were randomly divided into 6 groups, including a control group, an FPE-alone group, a model group, and three FPE treatment groups (each receiving 30, 15, or 5 ml/kg FPEs). Severe mammary gland hyperplasia was induced upon estradiol benzoate and progestin administration. FPEs could improve the pathological features of the animal model and reduce estrogen levels in the serum. 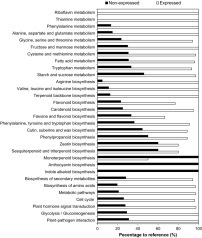 Analysis of oxidant indices revealed that FPEs could increase superoxide dismutase (SOD) and glutathione peroxidase (GSH-Px) activities, decrease malondialdehyde (MDA) level in the mammary glands and serum of the animal models, and decrease the proportion of cells positive for the oxidative DNA damage marker 8-oxo-dG in the mammary glands. Additionally, estradiol benzoate andprogestin altered the levels of serum biochemical compounds such as aspartate transaminase (AST), total bilirubin (TBIL), and alanine transaminase (ALT), as well as hepatic oxidant indices such as SOD, GSH-Px, MDA, and 8-oxo-2'-deoxyguanosine (8-oxo-dG). These indices reverted to normal levels uponoral administration of a high dose of FPEs. Taken together, our results indicate that FPEs can protect the mammary glands and other visceral organs from oxidative damage. Antioxidant potentials of Iranian Carica papaya juice in vitro and in vivo are comparable to alpha-tocopherol. Laboratory of Toxicology, Faculty of Pharmacy, and Pharmaceutical Sciences Research Center, Tehran University of Medical Sciences, Tehran, Iran. 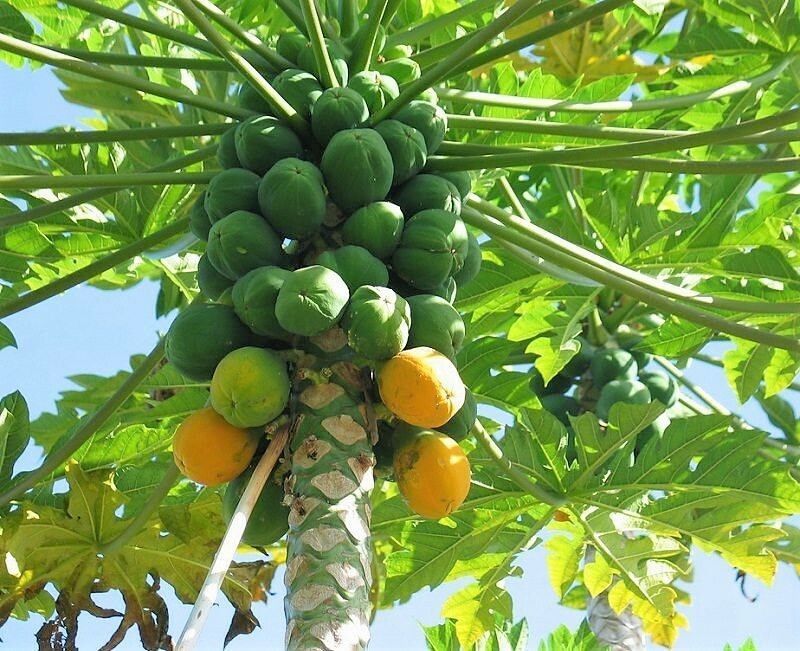 Carica papaya is widely cultivated throughout the world and is used as a food and also as a traditional medicine, particularly as an antiseptic and contraceptive. The present study was designed to explore the toxicological and antioxidant potential of dried C. papaya juice in vitro and in vivo. 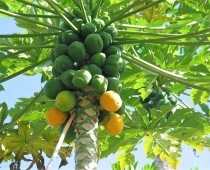 The oral LD(50) of the juice of C. papaya was determined, and the antioxidant potentials determined by DPPH and FRAP tests. In vivo examination was performed after oral administration of dried papaya juice to rats for 2 weeks at doses of 100, 200 and 400 mg/kg. Blood TBARS and FRAP assays were used to determine the potential of the juice to act against oxidative stress. The acute toxicity test (LD(50)) demonstrated that papaya juice is not lethal up to a dose of 1500 mg/kg after oral administration and thus is considered nontoxic. In treated groups, no sign of toxicity was observed. In vitro evaluation of the antioxidant effects of papaya showed that the highest antioxidant activity (80%) was observed with a concentration of 17.6 mg/mL. Blood lipid peroxidation levels decreased significantly after administration of all doses of papaya juice (100, 200, 400 mg/kg/day) to 35.5%, 39.5% and 40.86% of the control, respectively, compared with a value of 28.8% for vitamin E. The blood total antioxidant power was increased significantly by all doses of papaya juice (100, 200, 400 mg/kg/day) to 11.11%, 23.58% and 23.14% of the control, respectively. The value for vitamin E was 18.44%. This preliminary study indicates the safety and antioxidative stress potential of the juice of C. papaya, which was found to be comparable to the standard antioxidant compound alpha-tocopherol. Carica papaya seed macerate as inhibitor of conjugative R plasmid transfer from Salmonella typhimurium to Escherichia coli in vitro and in the digestive tract of gnotobiotic mice. Departamento de Biologia Geral, Universidade Federal de Minas Gerais, Belo Horizonte, MG, Brazil. 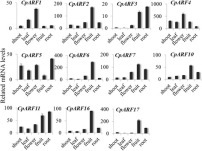 In this study, the effect of Carica papaya seed macerate on conjugal R plasmid transfer from Salmonella typhimurium to Escherichia coli was investigated in vitro and in the digestive tract of gnotobiotic mice. Twenty-five micrograms per milliliter and 430 mg (administered intragastrically twice a day) of papaya seed macerate concentrations were used during conjugation for in vitro and in vivo assays, respectively. High frequency of conjugation inhibition by macerate was observed for both in vitro and in vivo experiments, independently of bacterial growth and mating conditions. Papaya seed macerate caused a reduction of the transconjugant population ranging from 71% to about 100%. There was no lethal effect of the seed macerate on donor or recipient cells in the concentrations used. Once the mechanisms and magnitude of resistance gene transfer are clearly understood, strategies to reduce or minimize the dissemination of these genes could be relevant. The data here obtained show a clinical potential use of papaya seed macerate on this transfer. Carica papaya (Caricaceae) leaf extract has anti-chikungunya virus activity. 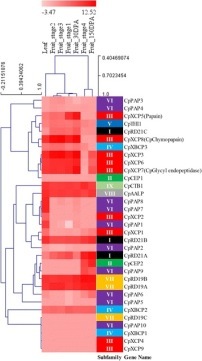 Genome-wide identification and characterization of auxin response factor (ARF) family genes related to flower and fruit development in papaya (Carica papaya L.). There are 2091 on Papaya. 21 Pharmacological Actions Researched for Papaya. Papain-like cysteine proteases in Carica papaya: lineage-specific gene duplication and expansion. Genome-wide transcriptome profiling of Carica papaya L. embryogenic callus. KEGG pathway annotation of expressed and non-expressed genes in papaya embryogenic callus Nur Diyana Jamaluddin, et al. Physiol Mol Biol Plants. 2017 Apr;23(2):357-368. Ripening-induced chemical modifications of papaya pectin inhibit cancer cell proliferation. 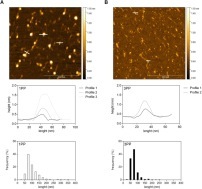 Representative topographical AFM images of papaya water-soluble pectins. (A) 1PP sample topography, height profile and length frequency. 1PP had linear chains and micellar aggregates. (B) 3PP sample topography, height profile and length frequency. 3PP had both chains length and micellar aggregates decrease. PP: papaya pectin (water-soluble fraction). Representative image of, at least, two experiments from the biological samples. Samira Bernardino Ramos do Prado, et al. Sci Rep. 2017;7:16564. Fabrication and hemocompatibility assessment of novel polyurethane-based bio-nanofibrous dressing loaded with honey and Carica papaya extract for the management of burn injuries. 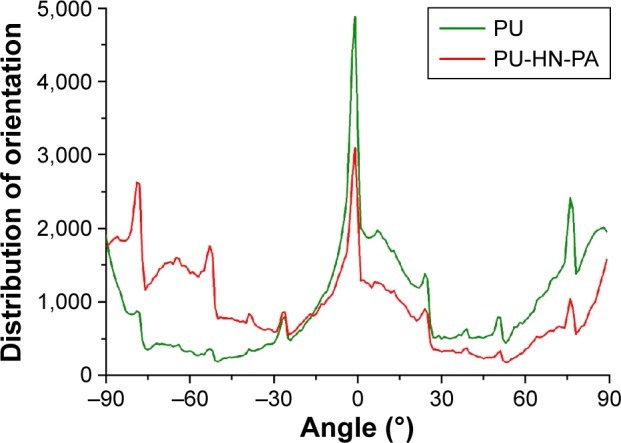 Orientation of fibers in electrospun PU and PU-HN-PA bio-nanofibrous membranes. Abbreviations: HN, honey; PA, Carica papaya; PU, polyurethane. Arunpandian Balaji, et al. Int J Nanomedicine. 2016;11:4339-4355.